Home » Why Choose Angie? I am the #1 real estate agent for 2015, 2016, 2017 and 2018 for the Tipton County Crye-Leike branch and in the top 1% of all Crye-Leike agents in the Memphis region. I sell land, residential, and commercial properties, and assist buyers who are searching for their next home, plot of land, or place of business. 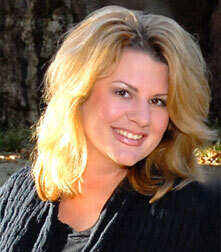 I have 12+ years experience assisting buyers and sellers, with a 100% Customer Satisfaction rating! I also have a team who assists me so I can serve you even more comprehensively. If you are thinking about buying or selling, or are simply curious about the current real estate market and would like a complimentary comparative market analysis performed on your property, I’d love to chat with you! I have extensive experience with properties across the Mid-South, throughout Shelby, Fayette and Tipton counties. Also, I often stage homes, and have knowledge of different types of pools and rural properties with wells and septic. I’m a big advocate for on-going classroom educational seminars, and have earned several real estate certifications along the way. Ultimately, I love what I do, put customer service as my top priority, and love the people I work with. Give me a call or send me a message to talk further!